i have not updated one of my apps in a while and i decided to start a all new project, i use to put all my library in a "libs" file in my app folder. 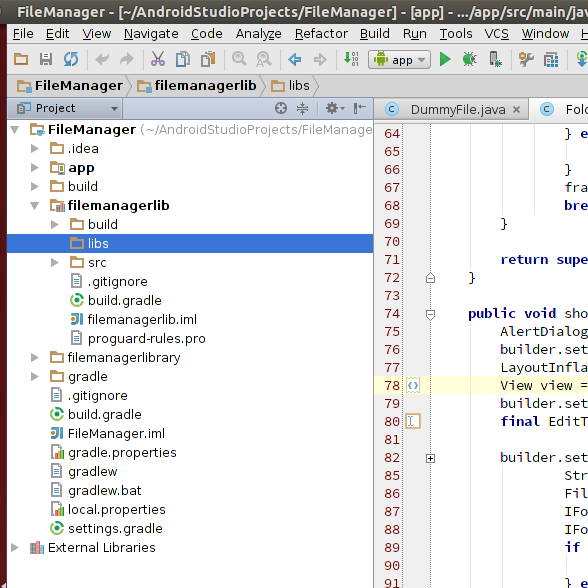 but in the new android studio version i don't no where to put my library, can you help me? this is the new file structure. i apologize if its a stupid question. this was the old way i had library's. ignore the red haha. 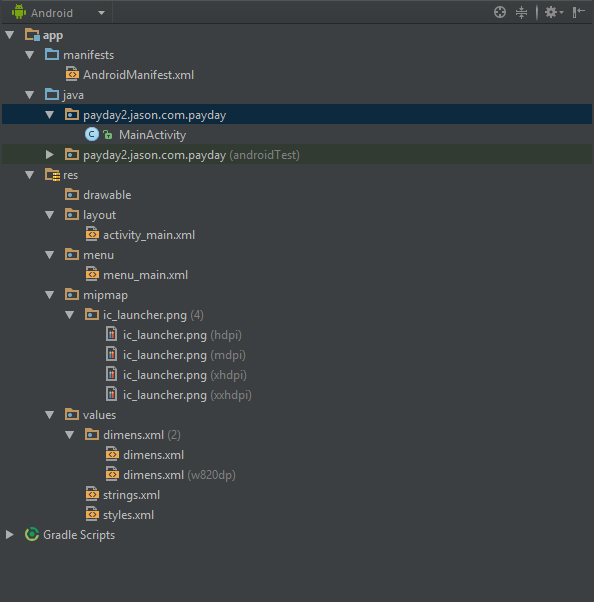 Go to your gradle scripts and there will be a dependencies section. You can add a compile-time library like this: compile 'com.afollestad:material-dialogs:0.6.3.1'. You will need to find the id for your library. If your library is not present on the jcenter repos, you can drop the jar for your library in the libs folder by opening it in a file browser, or switching the view method at the top to Project from Android. Not the answer you're looking for? 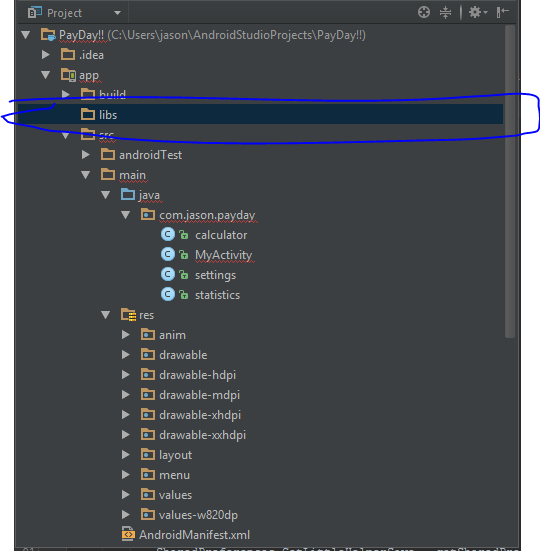 Browse other questions tagged java android android-studio resources file-structure or ask your own question.